E.g. 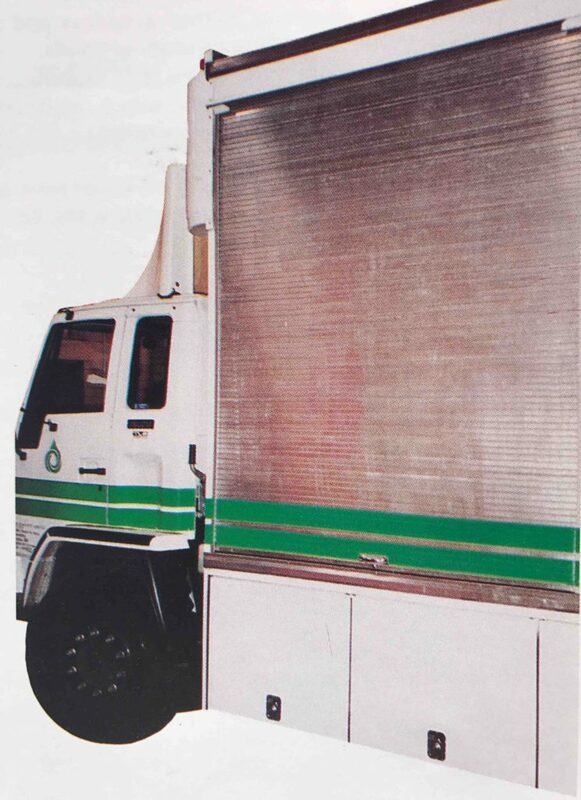 Telecom, s.e.c., firebrigade etc. 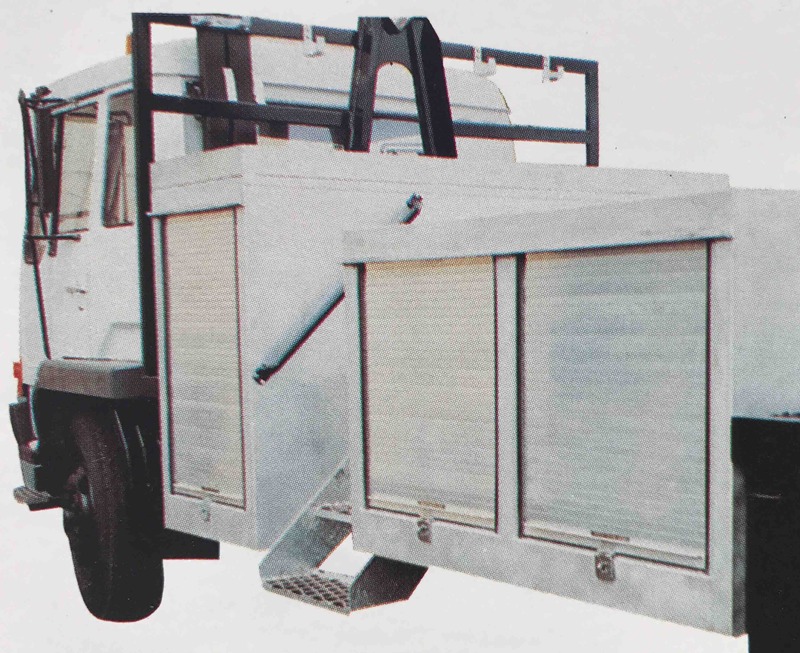 The "25" truck shutters provide a low maintenance and functional method of access and security to the rear of trucks and side cabinets of vans. 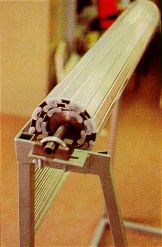 Shutter units are constructed of a slatted aluminium curtain on a spring counterbalanced drum, with a minimum headroom requirement of 220mm refer figure no. 1. 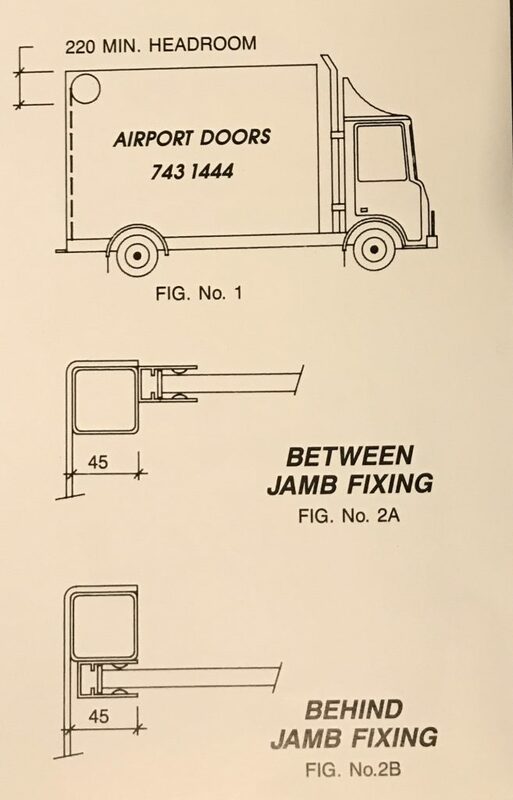 Truck shutter drum and tracks can be either fixed between the jambs or behind the jambs refer figure no. 2a or 2b. Curtain will be constructed using specially extruded aluminium slats, having a depth of 25mm x 1.4mm thickness, nylon end clips will be fitted to each alternate slat. Bottom rail will be a specially extruded aluminium section measuring 45mm high x 30mm complete with a continuos extruded rubber seal. Locking will be by means of 2 no. shoot bolts. Roller drum will be manufactured from nominal 075mm mild steel tube. Size: shutters are manufactured up to 2100mm height x 2100mm width without exceeding 4.5m2. Guide channels will be 40mm x 23.5mm x 1.6mm thick extruded aluminium. Operation will be by hand. Finish will be standard aluminium mill finish, or natural anodised if specified.